Over time, your plumbing can start to drain slowly or even completely clog. With regular use, oil, grease, food particles, soap and hair can block your pipes. While there are a number of products to "do-it-yourself", if a drain problem persists or happens frequently, it may be time to call in the experts. 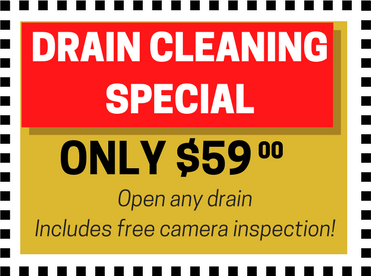 When you need a more powerful or permanent fix to your backed up or slow drains, you can trust our technicians to get the job done. Our technicians not only have the right tools for the job, but have the knowledge to determine the cause of the problem.